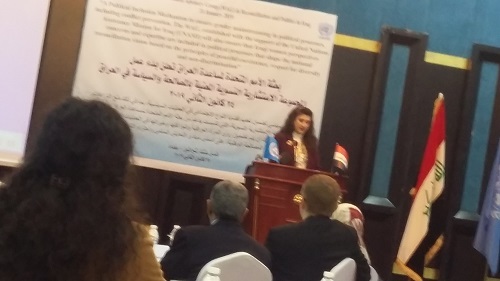 Mrs. Pascale Warda Chairwoman of Hammurabi Human Rights Organization, Former Minister of Migration and Displaced, founding and leading member of Iraqi Women's Network participated at the ceremony held by the United Nations Office in Iraq at Sheraton – Ishtar Hotel in Baghdad on January 24, 2019. 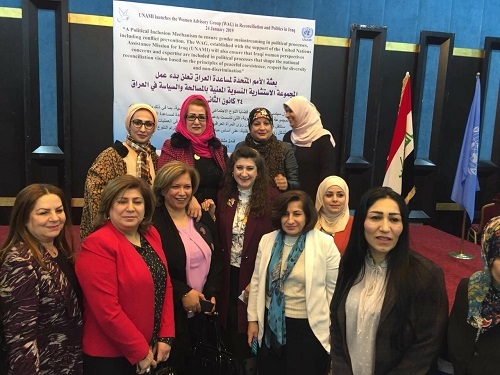 The ceremony was held with the aim of formal announcement of Women's Advisory Group on reconciliation and politics in Iraq including a group of Iraqi leading women selected for their experience on human rights, women, politics and legislation. 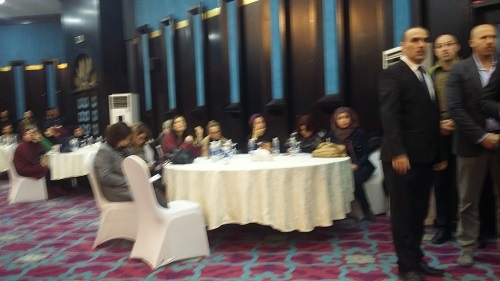 The group included Mrs. Pascale Warda and other female figures. The ceremony was attended by large audience and marked by different words after the performance of the national anthem. 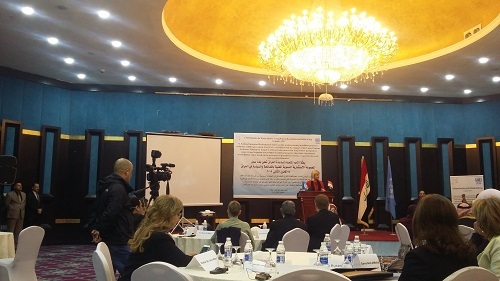 Mrs. Jeanine Hennis the Special Representative of the Secretary General of the United Nations in Iraq delivered the opening speech. 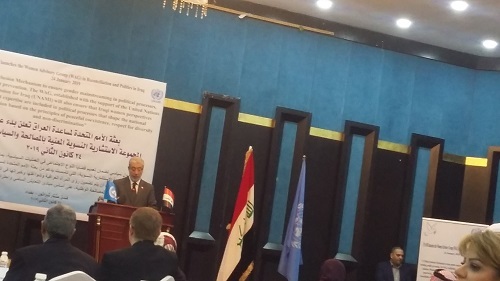 Also Dr. Bushra Al-Obaidi, representative of the Advisory Group delivered a speech then came the speech of the Deputy Speaker of the House of Representatives Dr. Bashir Al-Haddad. Dr. Abdul Latif Al-Humaiem, head of the Sunni Endowment delivered a speech at the ceremony. Mrs. Mayaatharu Nunu, Gender Advicer to the UN mission concluded by addressing a speech on the importance of this advisory step. 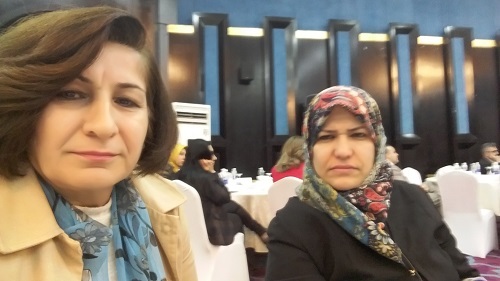 All the speeches focused on the importance of appreciating the work and performance of women, especially the speech of the head of the Sunni Endowment, stressing the unfairness of the Penal Code on women. He called for the elimination of loopholes and matters that undermine women, such as the paragraph that punishes women victims because they are females by the violator who is simply acquitted because he is a male and more often the victim delivered to the hand of the executioner. His speech was very appreciated and important. 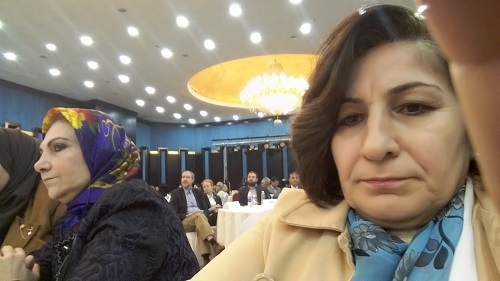 Deputy Speaker of Parliament announced that there is a new legislation being drafted in the Legal Department of the House of Representatives regarding this new group initiated by the United Nations in order to promote and develop the participation of women in the responsibility of the State Administration. This came in the words of His Excellency Deputy Dr. Bashir Al-Haddad in his wonderful speech.